We need 3,000 sleeping bags in Calais! Our stock of sleeping bags and blankets for Calais & Dunkirk is running desperately low, and right now we’re unable to keep up with demand. In the next 15 days, we need your help to collect 3,000 sleeping bags and 5,000 blankets. Thanks to incredible public support in December, we’ve been able to distribute bedding every week of winter so far. But with over 100 evictions last month, people are once again being left in the cold with nothing to protect themselves. Our stocks are running low, and we need help to make sure anyone sleeping rough in Northern France, at the very least, has a blanket or sleeping bag to keep them warm at night. What can you do to help? Don’t have a spare sleeping bag or blanket? 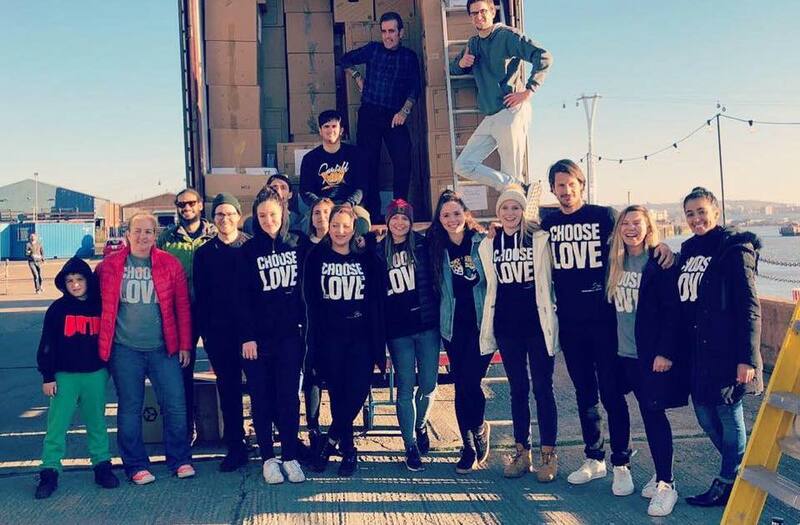 On 26th February, we’re sending a truck to all the drop offs in London to pick up donated sleeping bags and blankets. For the rest of the UK, all donations will be picked up in the coming weeks! So if you have any spares (or would like to organise a collection), please please please send to your local donation drop-off point before the end of the month! A sleeping bag isn’t a bed. It’s not enough. But in the freezing cold of night, it can be the key to preventing hypothermia. Find out any and everything you’ll need to know about organising a donation in our information pack. Where is my local drop-off? If you have any questions at all, feel free to contact us at calaisdonations@helprefugees.org. Thank you so much for your continued support – we love you! If you don’t have a sleeping bag or blanket, but would still like to help, buy one from our Choose Love store, and we’ll get them to where they’re most needed! Your ticket for the: We need 3,000 sleeping bags in Calais!